What are the functions of Grammarly? How Does Grammarly Help Writers? Is Grammarly Effective For Proofreading English? Should You Opt For Grammarly Premium? The evolution of grammar checking apps has helped people to write better than ever before. They help them to present papers and write-ups that are perfect in grammar and syntax. One of the most famous grammar checking app is Grammarly, and people from all over the world use it. 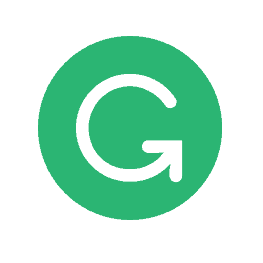 Grammarly is a grammar and syntax checking application that is made for people who use the English language. It is valid for four dialects including the British, American, Canadian and Australian English. The app is also used for plagiarism checking and spell checking. Grammarly premium use more than 400+ grammar rules to check the documents that someone submits on the website. It was first released in 2009. Currently, an app exists for the Apple and Windows OS. Apart from that Grammarly browser extension is available for Chrome, Safari, Firefox, and Edge. One may also get their app for Android and Ios smartphones. A Grammarly keyboard also exists for Android and Ios users. Several people from around the world use Grammarly grammar checker. So, the company has actually kept two types of basic services on their app. The first one is the grammarly free trial where the users can check the basic grammar of a document for free. It does the job well if you do not need a perfect document. But their premium services are best if you want a document that has impeccable grammar, syntax and everything else. You definitely need to pay from this premium service that they are providing. Grammarly premium monthly cost is $29.95 for a month. Grammarly premium quarterly plan cost is $19.98/month and it is billed as $59.95 as a whole. Grammarly premium annual plan costs you $11.66/month. In total, they will be charged $139.95 for the whole year. Grammarly also introduced Business plan which is perfect for an organization or even a family who have 3 or more members. This plan costs $15 per month for each member of the group. This provides an all-around discount and also gives them extra tools for essential management. It is always great to have some bonuses when you are tight on your budget. Though Grammarly is already providing their Premium services at an affordable price it is never bad to have a steal deal. The company does give the sale to their members from time to time especially during the holiday seasons. There is offer on different subscription websites as well during the Black Friday or Cyber Monday sales. Along with that, you can also source Grammarly coupons from different blogs and websites or even through advertisements. So, if you do want to avail Grammarly, definitely check out for them before you finally make the purchase. The main utilization of Grammarly is definitely for its immense help in the grammar section of the English language. The app helps in checking up to 300 grammar rules in the premium version. So, it is definitely something that will help in making the text or document free of all grammatical mistakes. This includes everything from the wrong usage of tense to the incorrect usage of voices to basic sentence constructions. It gives the information in detail, even with examples so that no one repeats their mistakes. One of the most problematic parts of writing is the fear of having plagiarised content. So, the company has included a plagiarism checker in their premium version. It searches through the internet to find any similarity and provides scores as well as an explanation if there is any match. An app is quite effective but it isn't perfect. People may often feel the need to have a human do the work of proofreading for them. Grammarly has this service where people can submit their document and the company helps them in the chosen amount of time. People do have to pay for it on the basis of the number of words present in the document and also the time period of doing the work. The new version of Grammarly has included an enhanced version of the performance check. This is an effective way to judge the quality of one's content. The check tells you the number of characters, words, and sentences that have been used in the document. Along with that it also tells the reading time and the speaking time of the document. Apart from this, they offer a readability score for the document. They give this scored after comparing your document to the ones shared by other users on the same platform. One can even download a pdf format of the performance report. This is a brand new feature that has been included in the Grammarly app. In this, the app wants to know more about the context of your document. This will help them in providing better grammar suggestions. The user can select the intent, audience, style,and emotion of a document. One may also the domain of use if they are a premium member. This is still in its experimental stage but they will definitely try to enhance it in the near future. Students who are in the middle school, high school, college and above that will find Grammarly to be of immense help. They often have to write essays, term papers, dissertation and other things which require a lot of research work and patience. So, Grammarly can help them in their journey of having good grammar while they can concentrate on their studies. It is best for students who do not use English as their first language. The plagiarism checker also helps them to see that their paper is completely free from it. Writers have to work on several pages at a time and their documents tend to be quite large. They do spend their time on grammar but it isn't always possible to follow every rule. So, this app can definitely help them in correcting their mistakes after they have finished their work. The human proofreading feature will also come handy as then they can get it done by just paying an extra amount. The writers can belong from any category, be it a content producer or someone who writes extensive novels. At the end of the day, they will need the help of such an amazing app. We may often think that teachers have an inbuilt app in them which will help them to have impeccable grammar but it is far from the truth. Often teachers from different fields may need to show their paper or give tasks to their students. The handouts should have good grammar so that it has a good impression on the students as well as the parents. Grammarly will help them to have that write grammar and correct syntax for their documents. It is also important for professors who often present papers in different conferences and workshops. Office is a place where you need to present your best self. You cannot give a bad impression to anyone who is present there. While writing an email people often fret about the syntax, spelling and basic grammar. Grammarly can help them to correct their mistakes through the browser extensions. So, the next time that they write an email they can focus more on the content rather than having tension over the grammar. When you check for any mistake in Grammarly, you see a red underline in each of the mistakes. By clicking on that, you will find a small box providing you some info regarding this mistake. Read that carefully. It will help you further in improving your writing style. Also, it identifies the possible corrections for the mistake. Lengthy Sentences To Edit Down. Common writing and grammatical mistakes like typos or misplaced apostrophes. Overuse of the passive voice and a lot more. Though the pre-installed grammar and spell checker in MS Word, etc. are pretty helpful, they are not as effective as Grammarly. Instead, this tool is much more effective and useful for beginners and professional as well. Now you may have wondered that if Grammarly is that much effective, would it replace the human proofreader? After using and analyzing for Grammarly for a year now, my answer is "NO". This tool can never provide the feedback that a human proofreader can. Whether you use or don't use Grammarly, always do a manual proofreading. Remember my words and this will help you grow a lot in near future. Yet, you can always rely on Grammarly's algorithm for small pieces of writings. You probably would have noticed that there's a subtle difference between British English and American English. A few gray hairs choose to write "realize" instead of "realise" and "center" instead of "centre". That's the thing where Grammarly has helped me. It has the ability to distinguish between the style of writing for British and American English. I use this feature frequently. Grammarly is basically an amazing tool for bloggers, content writers and each and everyone who wants to draft an email or a social media post. Even if you don't write much in English, it would aid you a lot. It helps you in determining the grammatical, spelling, punctuation marks or any other mistake in just a couple of moments. It lets you self-edit your work by offering the insights of word-length, readability score and what not. The Grammarly Premium would be pretty helpful for those who have a lot of work to check from. With that being said, keep in mind that you are not violating any regulations while using this tool. For the majority of the writers, it is like a defense guard. This helps in making the writing much better and accurate to read for the audience. Well, now that you have read the whole detailed review of Grammarly, the answer should be "Yes". Even though I have purchased the Premium version I still rely on the free version Chrome plugin for proofreading my emails and social media posts. No Doubts! Grammarly is a great tool for beginners and professionals as well. No matter if it is an email draft or a blog post, it will be always there to help you. Also, the prices are low for the Grammarly cost. 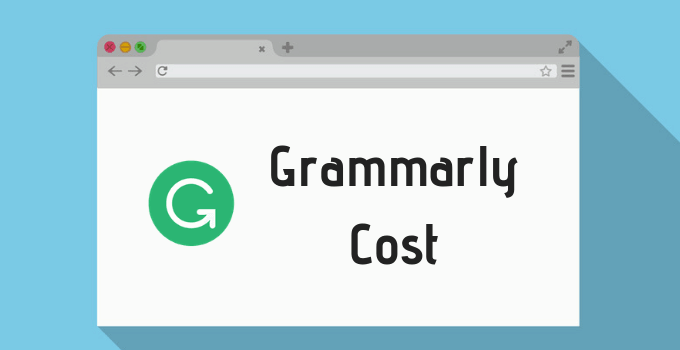 In conclusion, we can say that the cost of Grammarly is definitely all right for the numerous benefits that they provide to their users. So, anyone who was thinking about buying the subscription should definitely invest in it if they want to present writings that have good grammar. The app is nice and it will definitely help a lot of people in presenting a good impression.